3. G.O.Ms.No.254, HM&FW(I.) Dept., dt.27-04-2015. Secretariat Association & the Chairman, STU, AP, Dt.23.06.2015. 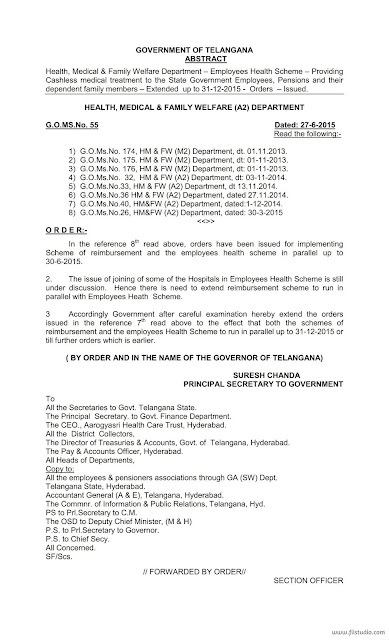 in para 3 of (v) in respect of Employees Health Scheme. along with Employees Health Scheme in parallel.